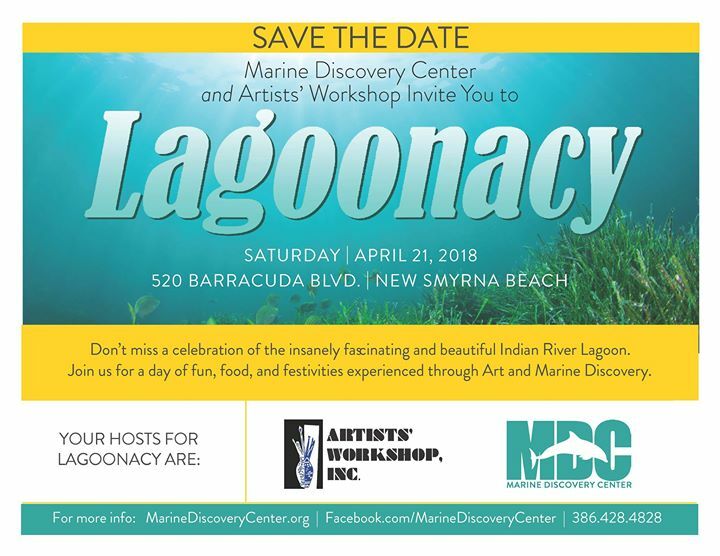 Don't miss a celebration of the insanely fascinating and beautiful Indian River Lagoon - AND Earth Day! Join us for a day of fun, food, and festivities experienced through Art and Marine Discovery. Our annual spring fundraising event is hosted by Marine Discovery Center and Artists’ Workshop, Inc. and includes an array of activities such as kayaking, archery, face painting, arts & crafts, a live mermaid, and our exciting cardboard boat race! Also featured at the event will be a great selection of local vendors, food trucks, beer, games, live music, and much more.